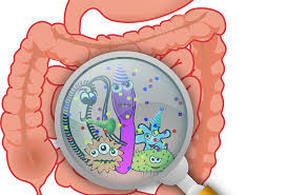 Our intestines are divided into two groups – the small intestine, and the large intestine. Food is broken down into its simple, absorbable components in the small intestines, while the waste is pushed into the large intestine for eventual evacuation during bowel movements. Normally, about 98% of our gastrointestinal bacteria are meant to reside in our large intestine, while only about 2% in our small intestine. 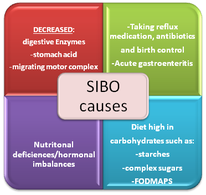 In SIBO, much more than 2% are residing in the small intestine, and this creates havoc in our digestive processes. How does SIBO cause IBS? These are the typical symptoms of irritable bowel syndrome (IBS). Research over the last 15 years has shown a major connection between SIBO and IBS. Specifically, up to 84% of IBS cases will test positive for SIBO. When SIBO is treated correctly, the IBS symptoms are eliminated. Therefore, SIBO is now considered the #1 root cause behind IBS. What Conditions May Be Related to SIBO? 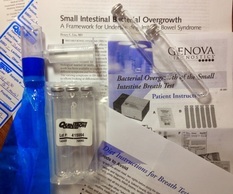 This phase of treatment involves first testing for SIBO causing bacteria using a 3-Hour Breath Test to determine the extent of the dysbiosis and specific types of bacteria involved. We then begin by supporting the body to be able to eliminate toxins produced by the SIBO causing bacteria and break up biofilms produced by bacteria, yeast and parasites. After learning which types of bacteria are present in the small intestine, we can target anti-microbial treatment to those bacteria. Often a combination of conventional antibiotics and herbal antimicrobials are used to eradicate the pathogenic bacteria.